Now with India having acquired this rare capability of shooting down satellites, it would no longer be easy for adversaries to launch satellites and direct them towards India as the fear of being shot down will lurk large. Today, several countries clandestinely collect data on the basis of their satellite inputs and since most countries don’t have the capability of stopping satellite movements in space, it is an easy process to pry into countries’ internal developments and plan moves accordingly. THE successful anti-satellite missile test by India has put the country in the club of the most elite group that comprises the US, Russia and China – only three of those countries in the world which have the same capability. No matter what detractors say, the test has come at a crucial time when securing the outer space has become as essential as securing our land and water from foreign attacks and invasions. Given the heightened tensions with Pakistan, it was necessary to test our own capabilities. The US and Russia had done it a long way back and given India’s military needs and her advanced space programme it was high time she too tested her capability and proved to the world her growing power and role in the strategic calculations. This accurate manoeuvring in the sky has come as a big boost for both India’s military capabilities and her space technology initiatives, paving the way for future advances in the field. The success has opened out a new narrative that establishes the direction of India’s military policies and political determination – a much-needed cue to inform the world that our time has arrived. This also goes out as a strong message to Pakistan that her possible attempts at intercepting India’s strategic moves will be effectively and efficiently thwarted. Today, several countries clandestinely collect data on the basis of their satellite inputs and since most countries don’t have the capability of stopping satellite movements in space, it is an easy process to pry into countries’ internal developments and plan moves accordingly. Now with India having acquired this rare capability of shooting down satellites, it would no longer be easy for adversaries to launch satellites and direct them towards India as the fear of being shot down will lurk large. “We had the capability. But the test was important. You have to check the reliability of your technology and that can be ensured only through a test,” said a former DRDO official following the test. This is the crux of the whole affair. The accuracy, the timing, the efficacy of the whole process tells a lot about our progress and our growth trajectory, especially in the defence and tactical domain. Scientists believe that by hitting something 300 km up in lower space we have confirmed that by little adjustments, we can also hit something further ahead in outer space, maybe 600 or 1,000 km away. Yes, we had developed the capability around 2010 but it had remained untested and sooner than later, it needed to be tested. That is the process of assessing one’s capability or at exigent times, there can be disastrous consequences. It is not that India is going to destroy satellites of foreign countries at will and at all times. 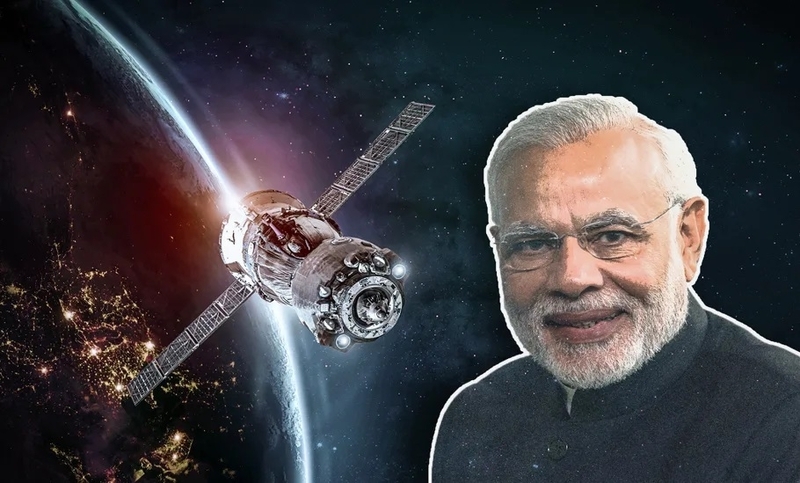 India, like most other countries of the world, is part of an international treaty under which she cannot shoot down a satellite in normal circumstances. Here, it is somewhat like our nuclear capability. Having the capability doesn’t mean we are using it at the slightest spur but it means we have the deterrent that acts as a shield against a possible attack. In today’s global political scenario, deterrents serve purposes of safety in a big way. It not only acts as a safety net but also enhances a country’s global clout and strengthens its own bearings, equipping it better for all kinds of emergent issues that warrant offensive action. Warfare techniques and strategies are fast evolving and exploring new dimensions that can take enemy countries by surprise. While it is not always available to stay abreast with these developments, the best we can do is to bolster our own mechanics making the best of what the latest scientific acumen we have. Not doing so is a policy failure, something which takes us back to the UPA era when the ASAT (Anti-Satellite missile) testing was reportedly not allowed in deference to international conventions, notwithstanding the fact that the US and Russia and China have gone ahead with their experiments in defiance. 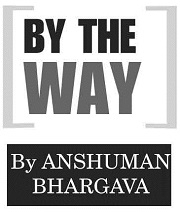 This again points to the determination and clarity of the present dispensation under PM Narendra Modi, which is finally making things happen – something India was not privy to under previous rules. Despite having all the wherewithal to make a big splash on the global platform, we dithered and wavered before taking decisive steps. Here we have a marked departure from our traditional stance of earlier Governments that has defined us for long. India was left looking weak and supplicating, with little elbow room in directing the political discourse of the world. But now, no matter what the US or China says, the world reckons India as a capable force which is not to be messed with. It is ridiculous that the US, which is itself a leading warmonger and space navigator, points fingers at India for generating space debris by shooting a satellite. India, as a responsible nation, did much better and shot its target just 300 km above the earth so that the debris doesn’t pollute space and they get burnt before falling through the earth’s atmosphere. It was such a well executed and technically precise operation that it passes all tests of legality and scientific propriety. But in turn, it established that India can now hit any target in space if need be. The ASAT project must be seen as a part of a larger military rejig that the Government has silently embarked upon by rapid arms acquisitions and technology transfer deals with friendly countries to spruce up the country’s defence system. It is a long-awaited development because in the light of newly emerging threats from enemy countries it is very much needed to have our arsenal well oiled and greased. There are still several gaps and shortages that affect the defence set up and those need to be filled fast. By the way, the ASAT success is not only a certain testimony to our rising power and scientific efficiency but also something that will set the trend and make excellence and targeting higher aspirations a habit with us. The Government must equip our scientific community with the right ecosystem and ample resources to develop path-breaking technologies so that we don’t have to depend on any country to bolster our capabilities. That should be the next target to boot.